On April 1, 2015 the GPP was launched at Windsor Castle in the presence of Her Majesty the Queen. The GPP is a ten-year interdisciplinary project to digitise, conserve, catalogue, transcribe, interpret and disseminate 425,000 pages or 65,000 items in the Royal Archives and Royal Library relating to the Georgian period, 1714-1837. The ultimate goal of the Programme is to provide a unique digital resource which is both readily accessible to members of the public and capable of sophisticated manipulation by researchers in any discipline, and to offer academic and public programming representing fresh research and interpretation. 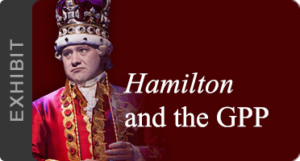 The GPP is a partnership between Royal Collection Trust and King’s College London, and is joined by primary United States partners the Omohundro Institute of Early American History & Culture and William & Mary. Other key U.S. institutions participating in the GPP include the Library of Congress, Mount Vernon and the Sons of the American Revolution. The programme models a new approach to archival production with its interlocking stages of digitisation, interpretation and dissemination. This work is carried out by interdisciplinary teams of librarians, archivists, digital specialists and scholars. Because the archives were uncatalogued and their scale means that only basic cataloguing is being undertaken, the Programme is simultaneously optimising the use of multiple transcription tools to speed the transcription of original texts. It is also developing enriched authority and subject files to support full text searching for all users. Priorities and timings for this work are informed by interest in the subject matter of the original material, ease of cataloguing and susceptibility to automated transcription. The GPP draws on the research expertise of hundreds of scholars from a number of disciplines to support the enrichment of catalogues and search tools and to interpret and disseminate the 65,000 items. These materials offer an unparalleled look at the worlds and people who were part of the cultural, economic, political and military realms of the British Empire and beyond. Early exploration has confirmed the Georgian papers’ significance for gaining a better understanding of wide-ranging aspects of Atlantic, African, North American, British and European history and producing findings which will have a bearing on our world today. The Programme is making the archives fully and freely accessible to an international public through conservation, digitisation and cataloguing, transcription and powerful search capabilities, and scholarly interpretation. Major exhibitions to support public enjoyment of and access to the archives and teaching materials for schools and universities are in development. One of the world’s venerable institutions, the British Crown, through the Georgian Papers Programme, is leading in innovative approaches to digitising, promoting and opening up precious archives from the iconic 12th-century round tower of Windsor Castle. The Georgian papers, 1714-1837, come to us from the threshold of modern history when science, exploration and trade created new, dynamic global connections with transformative consequences. The Georgian Papers Programme explores the fully global dimensions of the period. 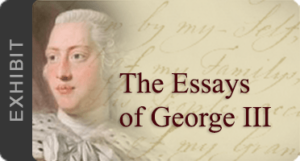 The Georgian papers, a unique and multi-faceted archive, is expanding scholarly exchange across disciplines, generations and among universities, archivists and librarians and researchers beyond the academy, its new discoveries, perspectives and innovative approaches–creating an important new hub for 18th-century studies. Scholarly and public events share these discoveries and new knowledge more broadly.